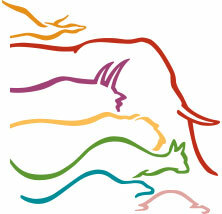 Mazuri Zoo Foods is an international nutrition company. We have a manufacturing facility in Essex, England, which specialises in producing high quality exotic animal diets that are guaranteed drug free. Our team of nutritional and technical staff has animal management experience and qualifications that help us to understand your needs and advise you accurately and professionally. We are backed by a dedicated Order Office team who ensure that your diet is delivered quickly and efficiently anywhere in the world by carefully chosen hauliers. We have a wealth of research data available that helps us to keep abreast of the latest nutritional requirements for exotic species. We are always searching for the best raw materials to improve palatability, shelf life and nutritional availability. We like to work closely with our customers to ensure Mazuri Zoo Foods continues to improve and to develop new products. Mazuri Zoo Foods is dedicated to preserving wildlife through the development of nutritionally sound feeding regimes, research and service for the world’s zoological parks and wildlife collections. The science of nutrition in captive wild animals is relatively young and there is still a lot to learn. Mazuri Zoo Foods uses its wealth of knowledge accumulated from decades of continued research to formulate feeds that provide the nutritional content that matches as far as possible the natural diets of the wild environment. Formulating and producing a product that is palatable, completely drug free and that is capable of approximating a natural diet is what sets Mazuri Zoo Foods apart from the competition. From formulation to delivery to the customer – our diets are manufactured with care right from the start. Our raw materials are picked from reliable quality sources. Our premixes are made on site and our two production lines produce expanded and pelleted diets. The plant in Essex is completely drug free, which means that your diet is guaranteed to be free from any non-nutrient contaminants that can be harmful to many exotic species. Expanded diets have many nutritional advantages, including increased bio-availability, increased palatability, reduced wastage and microbiologically cleaner. Our compression pellets are also of high quality and offer some advantages over standard agricultural diets, such as lower moisture levels and improved shelf life. We can also produce fine ground diets that some animals prefer. Our Special Diet unit is capable of producing any formulation on a small scale. Customers with special requirements can be assured of professional advice when it comes to producing a diet for any animal. Any quantity can be made from 1kg upwards, in pellet, powder or liquid form. All of these specialised diets are carefully prepared by hand. All of our diets are stored in a vermin proofed, cool, dry warehouse and are despatched direct to you by specially selected hauliers.